Microlearning has been the trending word in the e-learning world for quite some time now. Also, the decreasing attention span of humans (8 seconds 1) is fueling the need for microlearning. 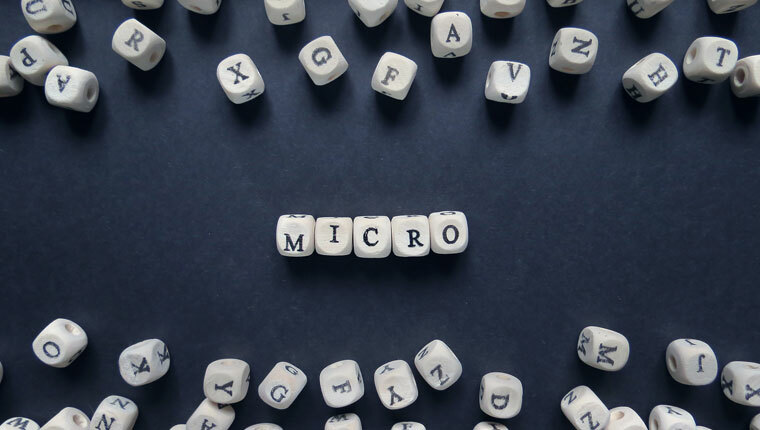 But, what exactly is microlearning? Microlearning refers to the delivery of online learning content in the form of short learning nuggets. Each nugget deals with one learning point and is not more than 3-5 minutes long, sometimes even shorter. You can deliver product training, sales skills training, process training, software training, or compliance training in the form of micro e-learning modules. Wondering why compliance training, which usually consists of too many guidelines, regulations, laws, and is content heavy, should be developed as micro modules? Let us see. Microlearning modules can be developed in various formats such as videos, infographics, quick play games, quizzes, or reference tools. The variety in the formats helps address individual learning styles. For example, in safety training, videos with audio narration help auditory learners learn better, infographics help visual learners, and decision-making games help kinesthetic learners. Also, as each microlearning module addresses one learning point, learners get the freedom to access the modules in the order of their choice. For example, an employee from the shop floor can choose to first take the micro module on Personal Protective Equipment or PPE to be used for his daily work and later the module on the PPE to be used while visiting other departments. Traditional e-learning courses are 30-60 minutes long, consisting of many supporting images or videos. This makes the courses heavy and difficult to load on mobile devices, especially in areas of low bandwidth. Microlearning modules are short and easily accessible anywhere, anytime, on any device. Continuing with the example of the employee from the shop floor, he can access the micro module on the PPE to be used while visiting a particular department on his mobile phone before entering that department. Also, the smaller size of these modules makes them comparatively easy to access even in low bandwidth areas. When you talk of compliance courses, you have too many guidelines/rules to keep in mind. But learners tend to forget things quickly as the ability of humans to remember is limited. There can be many reasons behind forgetting, and the amount of content being presented can also contribute to it. Microlearning has an upper hand in this case. As the content is divided into digestible nuggets and provides one learning point at a time, learners will be able to retain the information for a longer time. For example, if you want to train nurses on donning and doffing PPE while treating Ebola patients, you can first provide a module on donning PPE and another module on doffing. This makes it easy for learners to retain the information longer. The short duration of micro e-learning modules makes them less expensive, compared to long online courses. For instance, if you wish to provide a course on data security, you can develop several micro-learning modules, each covering a particular topic. For instance, one module could deal with the classification of data, while another module could cover the guidelines to handle sensitive information. It is easier to develop different modules than dump all the information into one big course. It’s also easy for learners to understand one point at a time. These modules are also comparatively easy to update. This is how microlearning helps your deliver effective compliance training to your employees, saving you dollars. It not only helps learners in better retention of important guidelines/rules, but is also easily accessible to learners at any time, any place, and on any device. Hope you find this post useful. Do share your views. Why Will a Microlearning Solution Work for Sales Force on the Road?